A fitted machine washable playmat can be purchased separately. The All Stars VUE provides your little one with a safe and secure place to play happily without risk of injury. 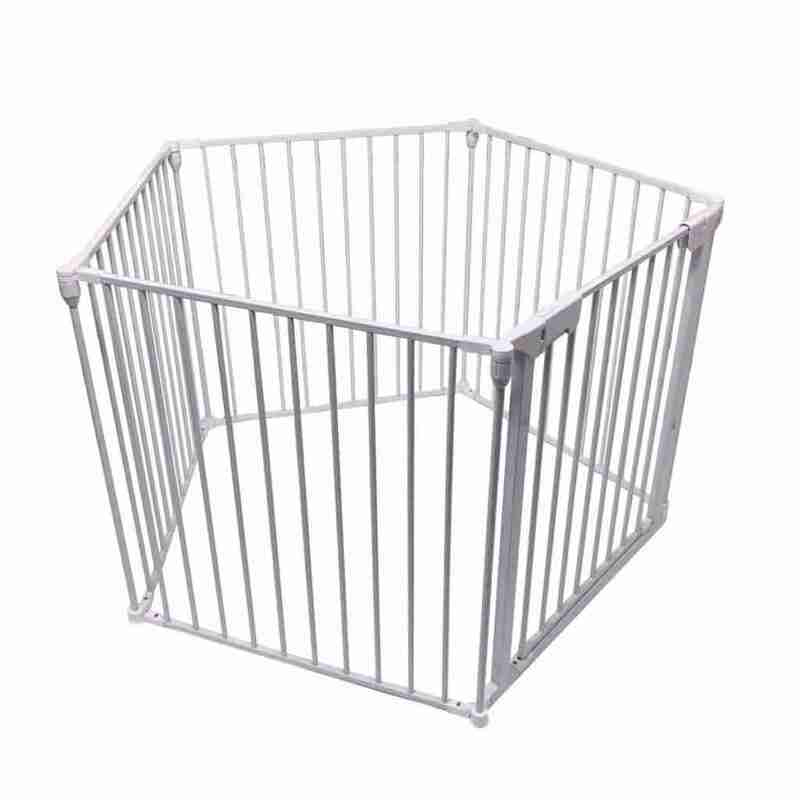 The VUE features and integrated safety gate which gives you easy access to the playpen without the need to keeping climbing over the frame. The gate itself features a child safe handle operation that’s designed to be easy for adults to open but difficult for children to open up. 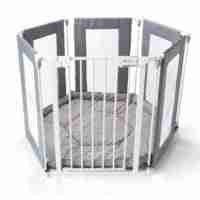 There are 3 ways to use the Venture All Stars VUE, the first being as a traditional playpen that is not only safe and secure for your little one but can be easily folded down and packed away for storage. Secondly there?s the option of adapting the playpen to become a room divider or fireguard that can be fixed to the wall in minutes . 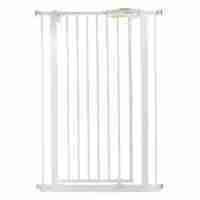 And lastly as a safety gate, by simply removing the gate from the playpen and fixing it to the wall when the playpen is not in use. 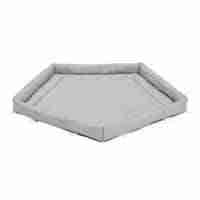 ?Combine with the All Stars grey fitted mat to give your little one extra comfort as they play. 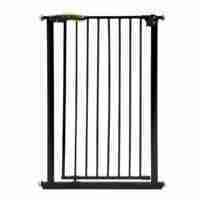 (fixing kit sold separately for room divider and safety gate).